If a snow cone margarita doesn’t cool you down I don’t know what will! 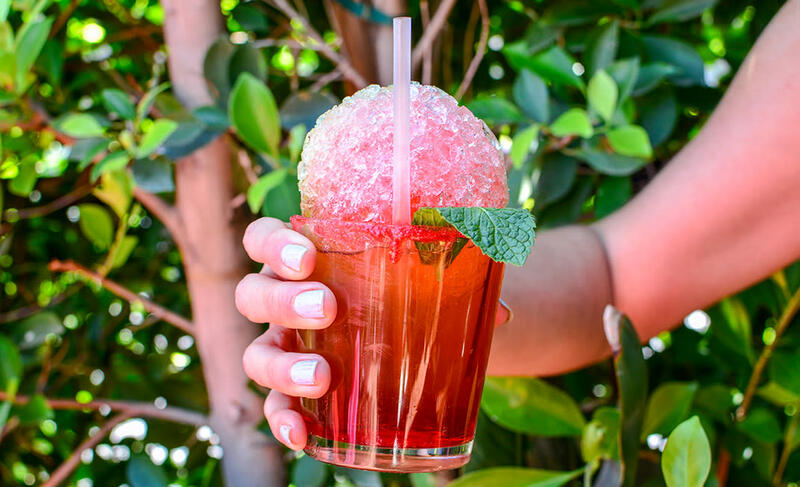 This icy beverage (literally) is pulled from your favorite childhood memories of frosty treats on a warm summer day but with an added adult twist - tequila. Diego Pops serves up this delicious summer drink in two flavors, watermelon lime (my personal go to) and mango elderflower. Kombucha has become one of the “coolest” and trendiest drinks today. 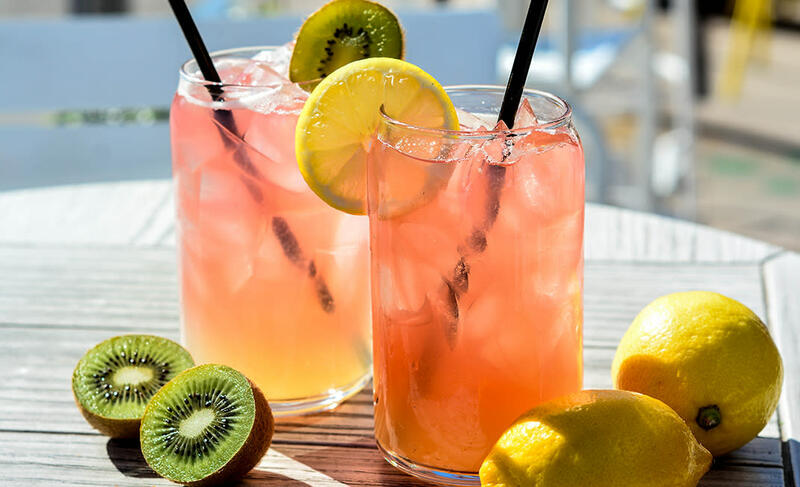 Not only does kombucha have great health benefits but, it also makes for a great cocktail mixer. Scoot your “bucha” on over to Farm + Craft and try one of these flavorful options: Kombucha & Tequila, Kombucha & Cucumber, Kombucha & Habanero. There are six different combos to choose from, and you can’t go wrong with any of them! Cooling down at the Undertow comes naturally for two reasons. 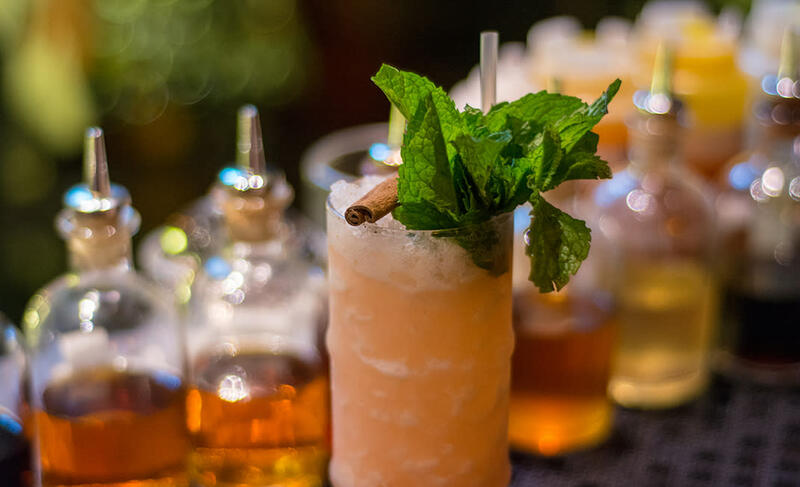 One, it’s located underground (beneath Sip Coffee and Beer Garage in Arcadia) and two, it serves up some of the best tiki-inspired cocktails you’ll ever taste. The wood paneling, tiki totems and tropical flowers allow you to escape into another world and imagine you’re on a remote South Pacific island. The Dutchmen’s Demise is a daring combination of vodka, white rum from Martinique, coconut, strawberry, tropical juices and spices. 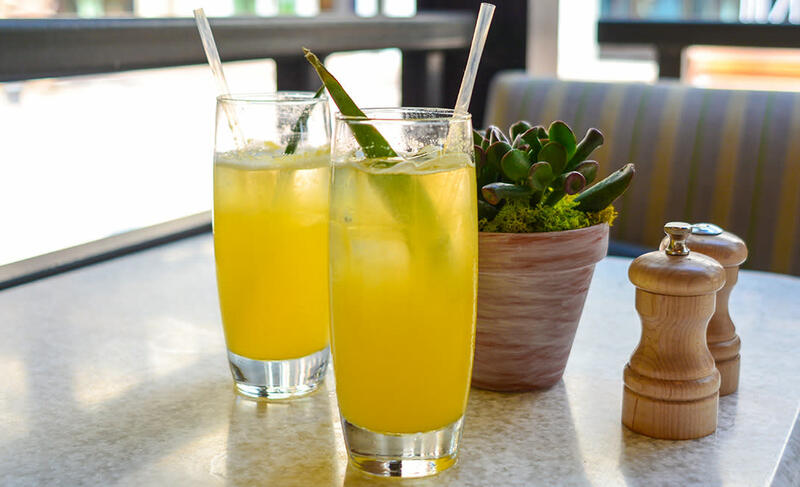 If you drank a little too much last night or just need a refreshing beverage, True Food Kitchen’s Hangover Rx is light, refreshing and delicious. Made with pineapple and orange juices, honey and coconut water, the Hangover Rx will quench your summer thirst. This cute little Scottsdale bakery serves delicious treats as well as coffee and Boba teas. The Ruze (shown on the left) is one of the shop’s most popular drinks. 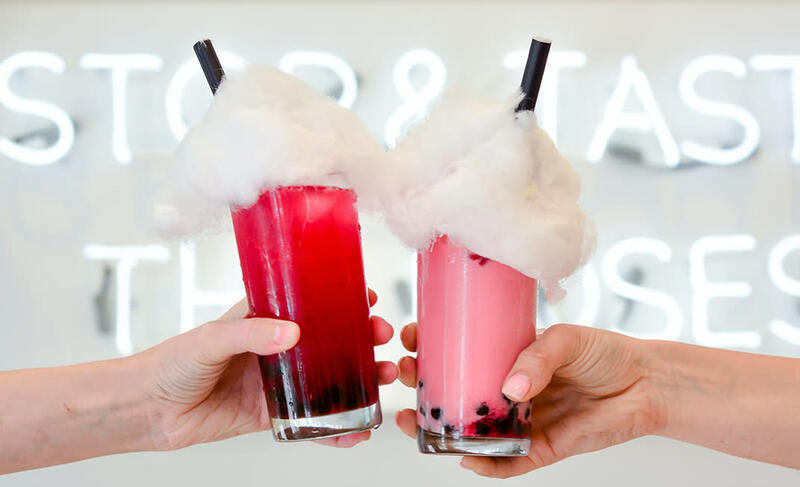 It’s made with cold-brewed prickly pear tea, prickly pear puree, house-made rose syrup, locally-sourced milk, and tapioca pearls, then topped with their own house-spun cotton candy. Not only is it going to cool you down in the summer heat, but it makes for an adorable Instagram. I spend a lot of my free time in local coffee shops, so trust me when I say that Berdena’s is one of the best on the block. 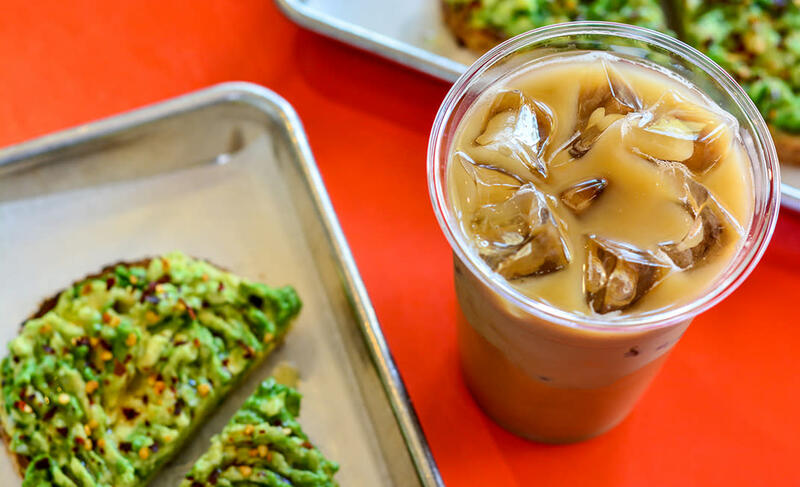 Not only is it one of the most aesthetically pleasing shops, but the coffee and the food are delicious (their avocado toast is the best I have ever had). The Honey Lavender Latte is infused with honey, organic lavender, steamed milk and espresso and it never disappoints.